Signals which are sufficiently stationary permit highly efficient coding in the frequency domain. Such signals include speech signals such as sustained vowels and prolonged fricatives, as well as generic audio signals such as music and mixed material. 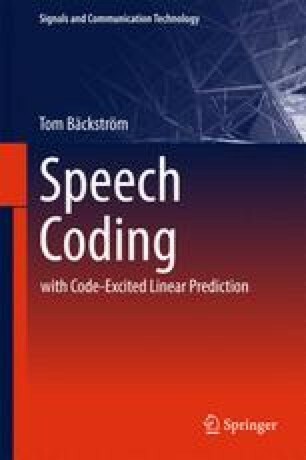 The main components of frequency domain coding methods include windowing, a time-frequency transform, perceptual modelling and entropy coding of the spectral components. This chapter gives an overview of such transform domain coding methods.